Interview: Gail Godwin | JUST LIVE HERE. GAIL GODWIN LIVES in Woodstock, New York, in a sprawling, many-windowed home she built with her partner, the composer Robert Starer. Their life together included voice and instrument collaborations that began when she was rewriting the legend of St. Pelagia into a modern story set in New York City. The piece wasn’t turning out, and meanwhileStarer, who had a commission for a chamber opera with the Dorian Wind Quartet and four singers, needed a story to motivate his music. So he and Godwin combined story and music to create the 1975 libretto The Last Lover. In the following years, they wrote nine more chamber operas and works for voice and orchestra. Gail wrote her fiction, Robert his music, until the evening cocktail hour, when she would often read to him what she’d written or he’d play for her what he’d been composing. In 2001 Starer died of cancer, and two years later, Godwin published a lovely illustrated novel, Evenings at Five, in which she faithfully evoked their life, right down to Starer’s chair, in the sitting room where this interview took place. Please log in to view or print the full story online or in PDF format. Gail Godwin has earned three National Book Award nominations for work that includes five New York Times bestsellers. Her most recent novel is entitled Unfinished Desires. 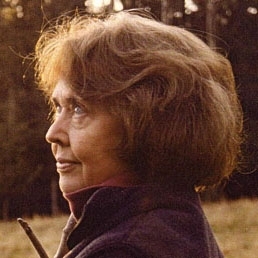 Her memoir The Making of a Writer: Journals, 1961–1963,was published in 2006; in 2010 a concluding volume will cover the years 1963–1970. Godwin lives and writes in Woodstock, New York.Photograph by John Kleinhans.